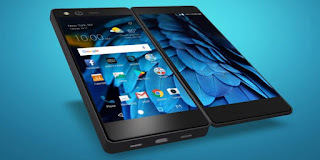 The Axon M is one of a kind and it has a foldability features which make the screen together as a 6.75-inch display, making the device more of a tablet or a viewer for movies or other video. Mirror mode allows users to project the same content on both displays, which ZTE aims to be a method for multiple users viewing a single device. Hardware for the Axon M includes a Qualcomm Snapdragon 821 chip. which doubles as its front-facing camera, depending on the mode, in which the device is being used. What else you need to know is that the ZTE Axon M provides four modes for various modes of use. Dual mode allows users to have one app on one screen and another app on the second screen, with the ability to use them simultaneously. So the zte smatphone is one of a kind. The ZTE Axon M smartphone will be available in November, exclusively only on AT&T in the U.S., selling for $24.17 per month for 30 months or $725. The device will also be available in Japan, China, and Europe and other countries by 2018.